I try not to snack unless I really need to. Over the past year I’ve been experimenting with my meal sizes in an effort to figure out just how much food I need at breakfast, lunch, and dinner to avoid getting hungry in between. That being said, sometimes there is no avoiding it. When dinner gets delayed by cranky kids or extra long outings, I like to have something available to quickly grab and tide me over until my next meal. That’s what these energy balls are for. I can also grab a couple on the way to a work out, or take them with me on a hike. There are so many different variations of these that you can make, and I’ve included a few of our favourites. 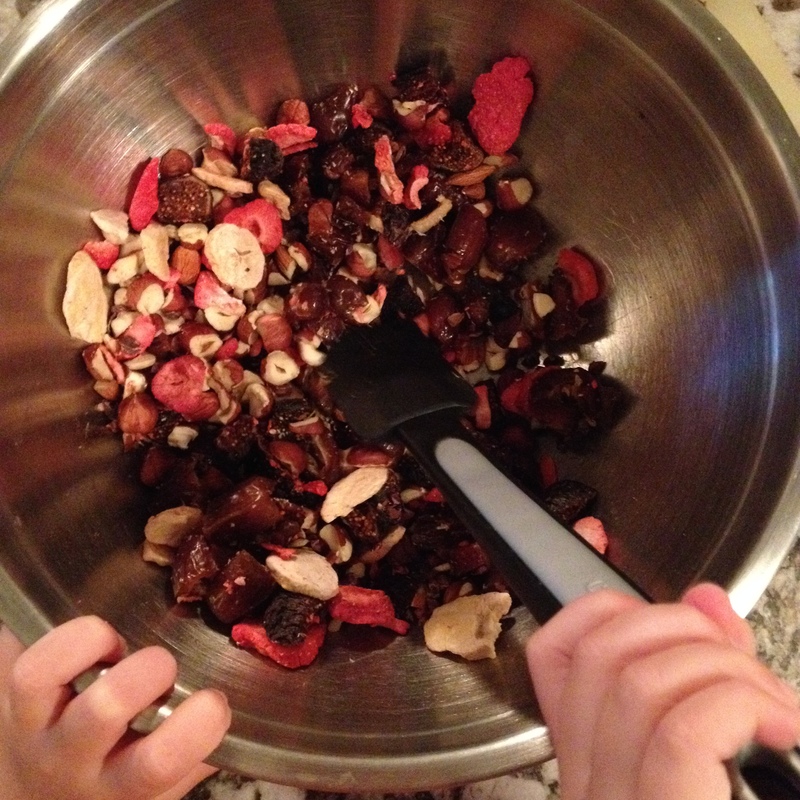 Charley loves making these and I’m happy to have something to offer her instead of a store bought granola bar! Bonus: these are Whole30 approved! Here’s what we created today. 1) Mix all ingredients in a large bowl except for the coconut. 2) Working in batches (approximately 2 cups at a time), blend in a Vitamix (or similar food processor) on low speed until the mixture starts to stick together. Scrape the sides and blend for a few more seconds until it becomes it mouldable. 3) Scrape the sticky mixture out (I use a knife to work around the blade. It’s a sticky mess!) 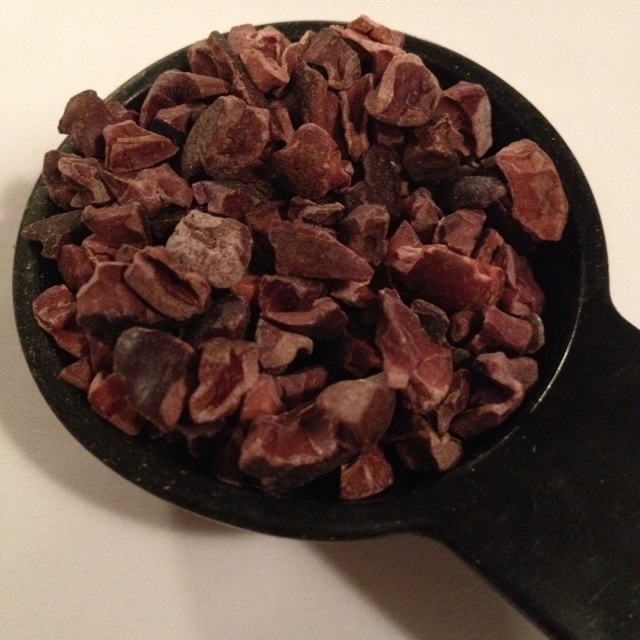 into a separate bowl and repeat with the remaining mixture until all of the mixture is combined. You may need to add a tablespoon of water, depending on how moist your dates and figs are. 4) Scrub your hands and remove any jewellery. Leave your hands wet and roll the sticky mixture into balls, approximately 1 inch in size. Press them pretty tightly to ensure they stay together. Keeping your hands wet will allow you to roll them easily without everything sticking to your fingers. 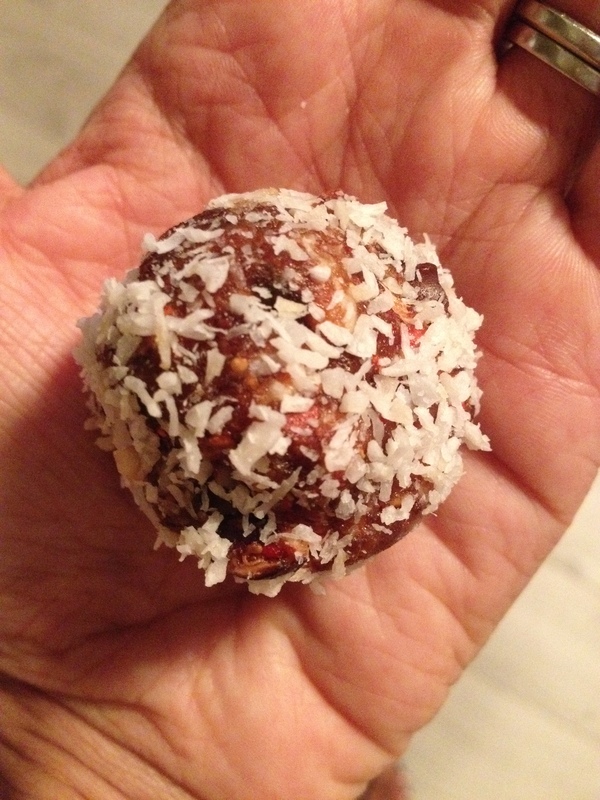 5) Roll the energy balls in the shredded coconut. You should have approximately 15 energy balls, depending on the size. Enjoy! Replace the hazelnuts and almonds with cashews or macadamia nuts. Use fresh fruit. This makes the process messier but is absolutely delicious! One of my favourite combinations is fresh chopped cherries and 1 tbsp fresh lime juice. Add spices like cinnamon, nutmeg or cloves. Add 1 tbsp fresh squeezed orange juice. The cherry and lime juice additions are divine!! They sound delish! What are your suggestions on storing these? TIA! I usually keep them in Tupperware in the fridge. I’ve always eaten them within 3-4 days so I’m not actually sure how long they would last, but I think they would do well in the freezer!